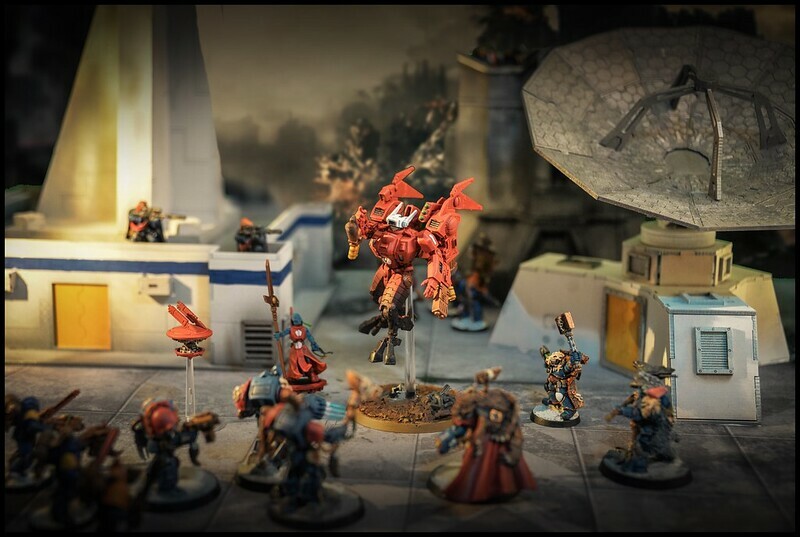 I've appreciated the style with which Games Workshop creates the photography for their miniatures over the last few years. 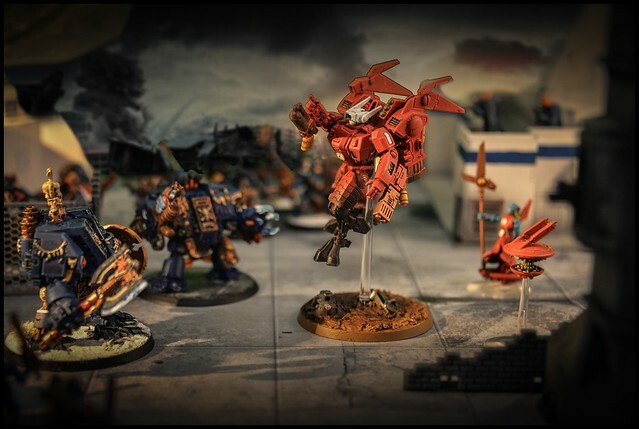 The epic battle pictures that adorn both White Dwarf and Warhammer Visions sell their wares exceptionally well. I've embarked on a mission to try and capture some of that for myself. Having acquired a portable green screen for Christmas, and some different colored backdrops (green and white to start out). 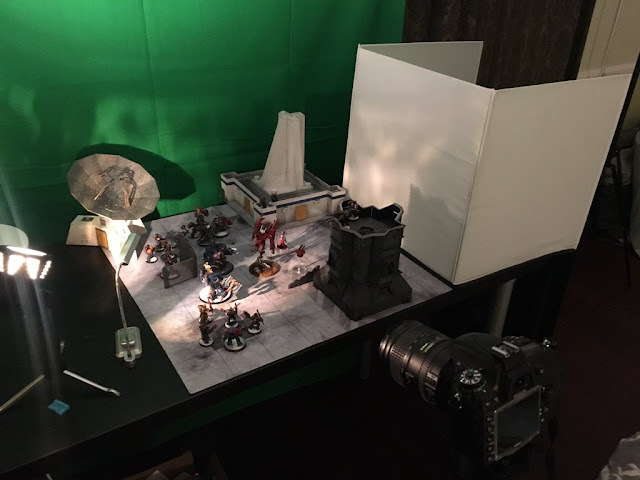 I've started with some experiments to find a good way to capture that kind of 'action' and epic feel to a battle picture with miniatures. The screen itself is relatively cheap, which is good for experimentation without too much guilt, and as a starting point for this kind of thing. The whole set-up with two sheets and the heavy duty clamps required came in just under $100. Slightly more than the best $10 I've ever spent, but still cheaper than a GW boxed release! Given my lightbox and starter lights was just over $50, I've been pretty happy with the relatively low cost of getting this set-up. Yes, of course I happen to have a photography addiction, and a nice camera anyway, but with modern devices, you could just as easily use your phone's camera with this set-up. The first results haven't been too shabby, I just need to brush up on mu photoshop skills as I go! I finished up the Tau commander this weekend, so he was the perfect subject for these experiments. I failed a little with the edges on the second picture, but I'm sure some practice will make perfect as I play with this set-up some more! It's also some great motivation to finally paint up a bunch of the scenery that has been sitting on my backlog for a year!